Friday Finds is always exciting to me, but this one is extra special. 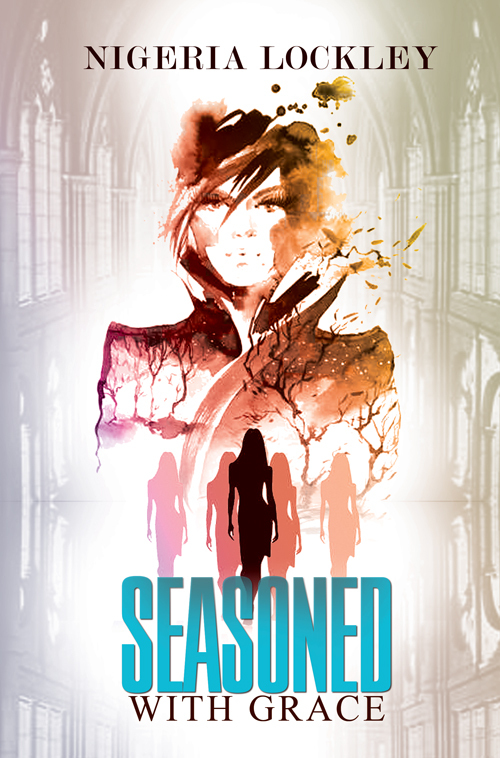 My #soulsis and award-winning author, Unoma Nwankwor is releasing her seventh book. Now, you know seven is the number of completeness and perfection in the Bible, so please help me make this release completely perfect for my sister. One-click, like, and share this Friday Find. 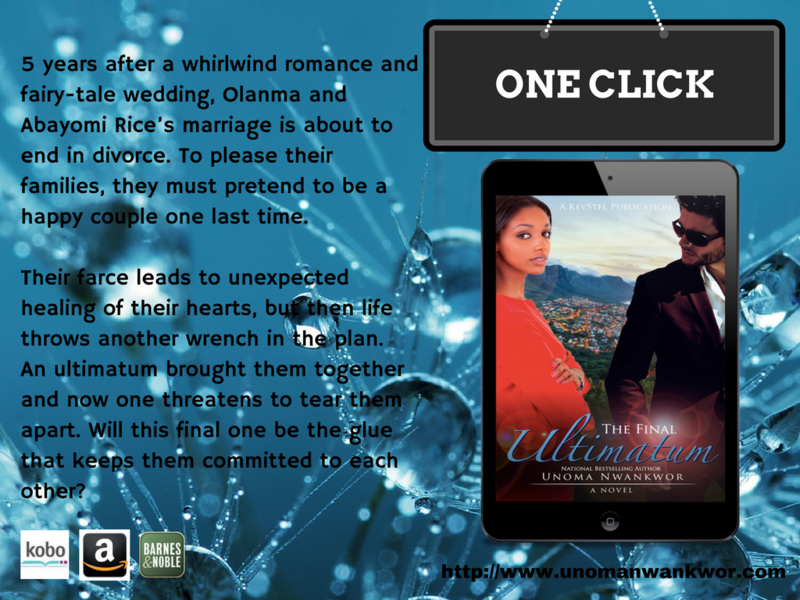 Please join author Unoma Nwankwor as she tours the blogosphere with Write Now Literary Book Tours and her new release The Final Ultimatum, October 21, 2016. For the second time in Olanma Obinze-Rice’s life love hasn’t been good to her. Five years ago, a repossessed car and the looming threat of eviction, left Olanma Obinze-Rice in dire need of cash. Then out of the blue, she landed an interview of a lifetime that would solve all her problems. But she had to go through former bad boy and heir of Rice Holdings, Abayomi Rice. One ultimatum, a whirlwind romance and a life scare later, Olanma and Abayomi were married. Now all Olanma wants is to be free. Free from her rocky marriage, manipulative husband and overbearing father. If everything goes according to plan, she’ll be divorced and free from her father’s clutches by her thirtieth birthday. All she has to do is wrap up one last business deal. Once he gets divorce papers, Abayomi Rice knows his wife has called his bluff. He didn’t mean to manipulate her but her broken promises and inability to stand up to her father tore them apart. Despite their present state, the finality of a divorce is not an option. He wants his wife back. With his sister’s wedding coming up, he sets his plan in motion and issues one final ultimatum- pretend to be a happy couple one last time. Their farce leads to unexpected healing of their hearts, but then life throws another wrench in the plan. 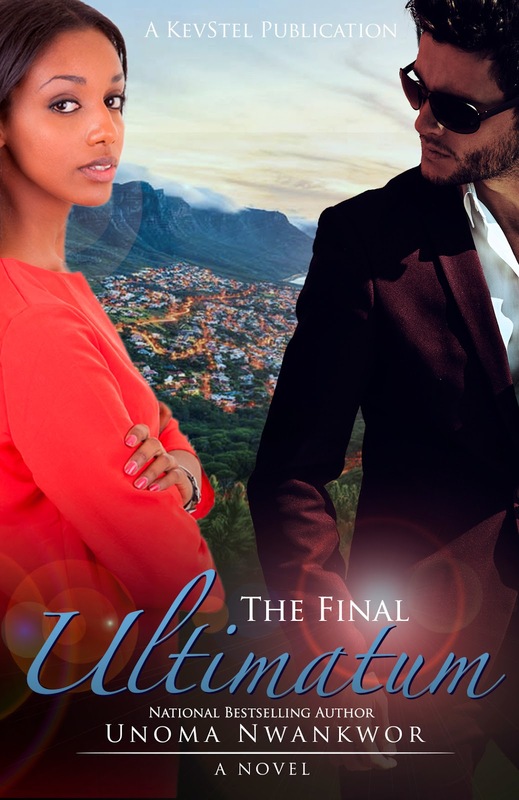 An ultimatum brought them together will this final one tear them apart? 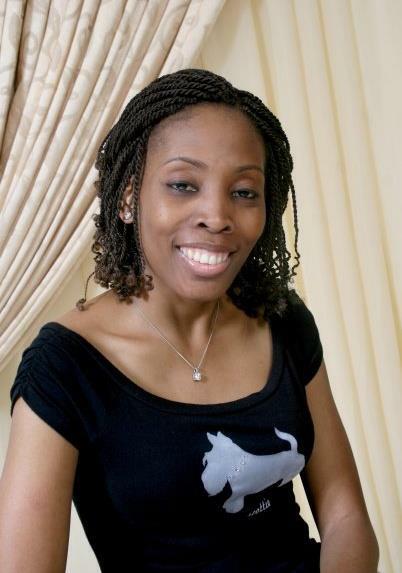 Born in Akron, Ohio to Nigerian parents, Unoma Nwankwor is a multi-published author and 2015 winner of the Nigerian Writers’ Award for Best Faith Based Fiction. 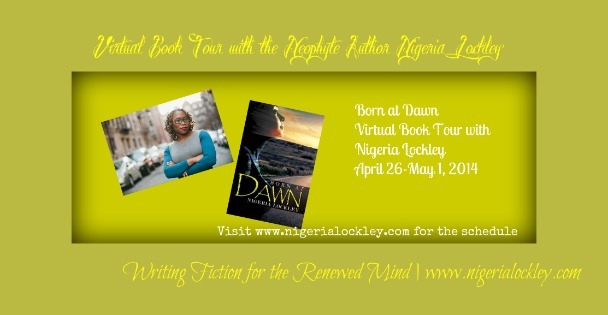 Her readers are in love with her unique story telling that fuses faith, romance and African spice, capturing the essence of her present home base; Atlanta and her Nigerian culture. She is also the COO ofKevStel Group LLC and resides in Atlanta with her husband and two kids. “Nma, so where’s this husband you keep saying you have?” Abayomi heard the man say as he approached. Olanma giggled and then abruptly stopped. Abayomi knew that in that moment she sensed his presence. She turned sideways, but the man she was with was so busy checking her out that he didn’t see Abayomi walk up. “I hear you’re looking for me and I take care of my wife just fine.” Abayomi came to a halt between Olanma and the man. The look of shock on both their faces was satisfying. Nma? He couldn’t believe she allowed another man to call her that. Not even her father called her “beauty.” Only two people had that privilege – he and her grandmother. Or so he thought. The expression on the man’s face switched from shock to embarrassment. At least he had some shame. Abayomi didn’t wait for a response before he ushered Olanma out of the ballroom. He found a secluded area where they could talk. He stared at her and began to pace. He had never been good at hiding his possessive nature. “Yomi, that was rude and what are you doing here?” Olanma asked in a hushed whisper. “Really? Nma,” Abayomi said, his tone laced with irritation and sarcasm. “You’ve got some nerve. You pop into Lagos two days ago, and then you don’t come home…” Her voice was shaky with rage. “I’m not doing this with you. Not here.” She began to walk away. She stopped, but didn’t turn around. He hadn’t meant to reveal all that, but masked feelings were what had brought them to this point. If there was going to be a chance for them, they would have to lay down the masks. And since he was the one that was served with divorce papers, he had to take the first step. His prayer was that his vulnerability would lead them back to the intimacy they once shared. Where their souls were tied as one and hopefully rebuild their trust. He hoped she would see that. Olanma walked back to him and stared at him intently. “It’s been a year. What did you expect? That I’d curl up and die?” She turned and walked away. Her heated eyes showed him her soul. She was hurt, but so was he. This wasn’t what he imagined for them. Past the pain and anger he saw in her eyes, he also saw longing and love. It was clearer to him that restoring his marriage would be an uphill battle. Losing, however, wasn’t an option. Thank you sissy for having me on. 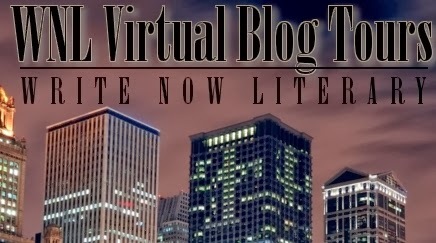 Of course, mi blog es su blog.